Classic car insurance: how to get the best cover - Which? What is classic car insurance? What counts as a classic car? What does classic car insurance cover? Where can you buy classic car insurance Who offers the best classic car insurance? Classic car insurance is designed specifically to protect classic motors from unforeseen mishaps. Your car will have to qualify as 'classic' to be able to take out this type of policy. Classic car insurance isn't suitable for a vehicle that you use frequently, and you'll need to take out a regular car insurance policy for that. For tax and MOT purposes, HMRC defines classic cars as being at least 15 years old with a value of £15,000 or more. Classic car insurers and brokers, however, have varying definitions of what counts as a classic model. Some may consider cars only 10 years of age as eligible. Admiral classic car insurance: 'To get classic car insurance, Admiral requires a car to be over 35 years old and under 70 years old. As with regular car insurance, there are usually three levels of cover to choose from for your classic car. Third-party only: This offers the lowest level of cover, protecting you against damage that is caused by yourself or one of your other passengers, damage to other drivers and accidental damage to things such as lamp posts and walls. But it won't cover the cost of repairing damage to your car, which you'll to pay for yourself. Third-party, fire and theft: This offers third-party cover and also the cost of repairing your car in the event of it being stolen or damaged by fire. Comprehensive: A fully comprehensive classic car insurance policy offers the widest range of coverage including third party, theft and fire as well as wider damage to your vehicle. In addition to this, most classic car insurance policies will cover the following areas as standard. An agreed valuation is when your insurer pays out a pre-agreed sum if your car is declared a total loss. Regular car insurance policies will only compensate you the market value of your vehicle, which can cause problems if your model is worth significantly more than most vehicles of the same age and type, as most classic cars are. If your car has been deemed a write-off buy your insurer, salvage retention gives you the right to buy back the remains. You'll have to tell your insurer that you wish to retain the salvage at the point your vehicle is written off. They will then calculate the cost of salvaging the remains of your car and deduct this from your agreed valuation. You'll get the remainder back as a cash settlement. The majority of classic car insurance providers offer multi-car cover to help you insure all of your vehicles. You could, for example, insure your classic car and everyday motor under the same policy; making it simpler to handle your documents and keep track of renewal dates. 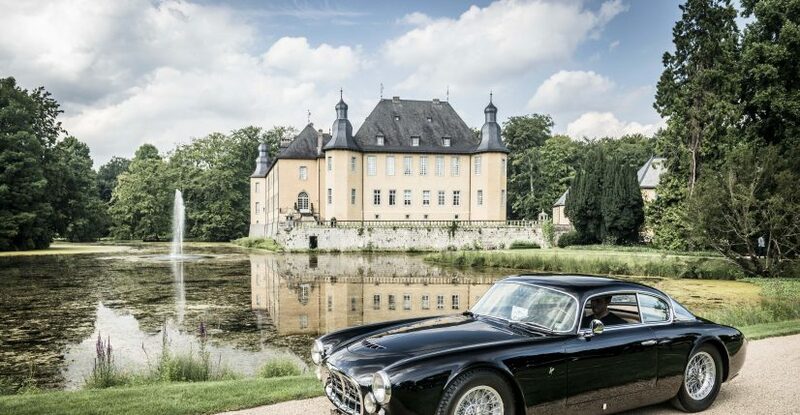 European cover is offered by most insurers to protect your classic motor if you ever need to take it to Europe. Most policies will allow you to spend up to 90 days on the continent. Laid up cover insures classic cars that are no longer driven on the road but still require damage, fire and theft insurance. It's ideal for owners who have declared their vehicle under the Statutory Off Road Notice (SORN). It also covers race cars and vehicles in restoration. Specialist car insurance companies offer comprehensive policies, designed by experts, to protect the unique characteristics of your classic car. Providers include companies like Lancaster Insurance and Footman James. 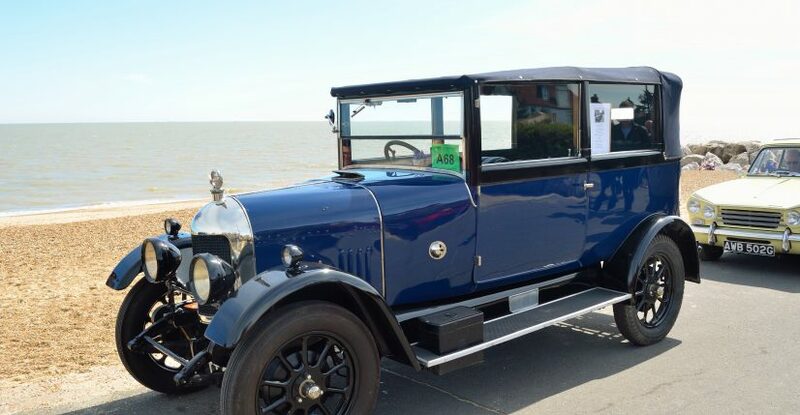 Specialist classic car insurance brokers look at the details of your classic car and help you find the best insurer to protect your vehicle. Brokers for classic car insurance include Classic Line Insurance who have worked in the industry for 30 years. Car clubs are membership organisations for motorists that own a certain make or model of car. If you own a Morris Minor, for example, you could join the Morris Minor's Owner's Club. Membership in a car club usually allows you to access a number of benefits including discount entry to car shows, priority spare parts for your motor and also a discount on your car insurance too. There is a wide range of car clubs available and you can see a full list of vehicle owners clubs on GOV.UK. Due to the specialist nature of classic car insurance, very few mainstream providers like LV and Admiral offer their own comprehensive policies. A small number of companies choose to partner with specialist brokers to provide classic car insurance policies. For example Aviva, RAC and Hiscox all partner with specialist broker Hagerty, to offer comprehensive policies for classic motors. On the whole, most mainstream providers don't offer comprehensive policies for classic motors. Some may at least be able to give you an agreed valuation but you'll have to get in touch with the company to agree on this. Who offers the best classic car insurance? We understand that your classic car is an important and sentimental investment so it's vital to make sure that you get the best insurance policy to protect it. Finding the right insurer, however, can be overwhelming so Which? has done the hard work for you. We've analysed the policies of several classic car insurance providers to help you compare classic car insurance policies. The table below shows how we rated each classic car insurance policy overall as well as breaking down how each feature of the policies scored. Which? members can login to see the results of our exclusive analysis of car insurers. If you're not a Which? member, take a £1 trial to Which? Money for one month to unlock our reviews and experience the benefits of a Which? subscription. Which? 's rating of the quality of this company's car insurance policy. We analysed 58 features of its cover to calculate the policy score. We calculate the policy scores by rating the most important elements of the policy including agreed valuation, salvage retention, multi-car cover and laid up cover. Can I buy classic car insurance for an everyday car? While it might be tempting to buy classic car insurance to lower your insurance premium, it isn't advisable. The cost of classic car insurance is designed to protect older cars that aren't used every day. So even if your vehicle is older, and could technically qualify as a classic car, but you use it frequently as your main mode of transport, you should take out a regular car insurance policy instead to avoid being caught out. How can I get cheap classic car insurance? Generally speaking, insurers view owners of classic cars as less risky, because they take greater care of their motors. Classic cars are also rarely driven and usually kept in safe and secure locations. As a result, classic car insurance policies are much cheaper than regular car insurance policies. Limiting the number of times you drive your car lowers the risk of you getting into an accident. So, agreeing, and sticking to, an annual mileage limit could help you get a discount on your classic car insurance premium. Increasing the level of security on your classic car lowers its risk of it being stolen and installing additional features like an alarm or tracking device could help you reduce the cost of your policy. Insurers will often have a list of recommended manufacturers and lock types to choose from, so be sure to check before you make any changes, to make sure that they don't end up invalidating your policy. While making car modifications can add a unique touch to your classic car, most insurers will see them as an added risk. If you do decide to make modifications to your classic motor, it’s really important that you disclose them to your insurer as failing to do so could invalidate your policy. Find out more in our guide to how to find cheap car insurance. How do I make a classic car insurance claim? If you ever have to make a classic car insurance claim, following these steps can help make the processes as simple as possible. It's important to notify the police as soon as you find out your classic car is stolen. Once your report has been filed, you'll get a crime reference number to give to your insurer when you make a claim. You need to contact your insurer as soon as possible to avoid any delay in getting your claim processed. It may take your insurer longer to investigate more complex claims so it's best to get the ball rolling sooner rather than later. Depending on what your claim involves, you may need to send in evidence such as receipts and photographs. Try to gather these as soon as possible and send them over to your insurer to get your claim processed. Find out more in our guide to making a car insurance claim. Does classic car insurance come with a no claims bonus? Classic car insurance doesn't offer a no-claims bonus. Insurers often give you a discount on your premium in other ways like limiting your mileage. Can I get classic car insurance without having a garage? Most classic car insurance policies come with a 'garaging clause,' which means that your classic car must be stored in a garage between specific times when it's at your home address. Some companies, however, will still cover your car even if it's not stored in a garage. It's best to check with the insurer before taking out a policy. Does classic car insurance cover spare parts? Some classic car insurers will cover the cost of spare parts that you already own for your classic car. These are usually stored in a safe place like a garage. The level of cover you can get will be limited, however, so it's important to check with your provider. Sometimes you might be able to purchase additional cover if the value of your spare parts exceeds the standard limit. It is possible to get classic car insurance if you are a younger driver (under 25), but you may not get the same amount of discount on your premium. This is because insurers view motorists in this age range as riskier drivers. Does classic car insurance cover car shows and track events? A number of classic car insurance policies protect your car if you take it to a car show, exhibition or track event. It's important to note that you will not be covered for mishaps that occur if you drive a vehicle that isn't named on your policy. If you have any more questions about classic car insurance, get in touch with our experts on the Which? Money helpline or email us using money-letters@which.co.uk.